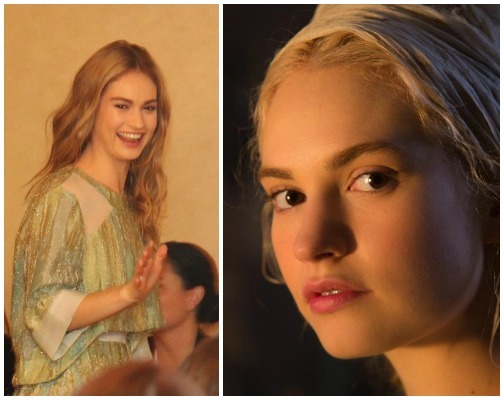 I am sad to say that I never watched Downtown Abbey, but after chatting about her latest role as Cinderella, the ever full of life and quite beautiful Lily James has me feel like I’ve been missing out. However, whether you know her as Lady Rose or not like me, you will know her as Ella. 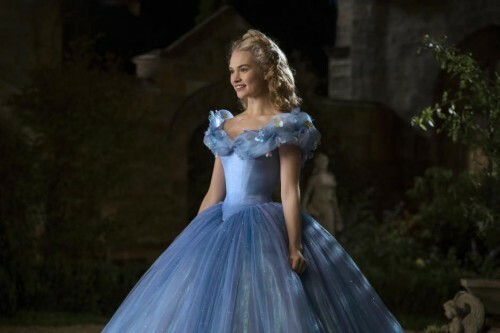 Lily made being the iconic Fairytale princess come to life on the big screen like no other Cinderella before, and for this, she will now always be Cinderella. Luckily the movie is fantastic and all you’d hope it would be, which I will share more about in my review coming up later this week. Lily sat down the night after the world premiere and talked about the role, what she wants young girls to take away from the film, and of course those glass slippers. Ok, first, let’s talk about the the non-glass slippers and tell us about the incredible shoes you wore for the premiere last night. I was wearing Louboutins. I loved that they looked so beautiful and princess-y and then they had the killer red sole, it was great. Tell us how you prepared for the role of Cinderella. I started horse riding lessons because I’d never ridden before. I had to bare back as well, so every second I wasn’t filming Downton [Abbey], I was at this farm learning to ride. Then I did yoga to sort of try and feel in my body and graceful and breathe properly. Then I was just working on the script on back story. When I met with Ken, he was like, ‘I want to know, does Ella sleep with the blinds open or closed, what does she dream about, what’s her favorite food.’ He wanted for me to know all those details so that I could sort of just exist on set being her. 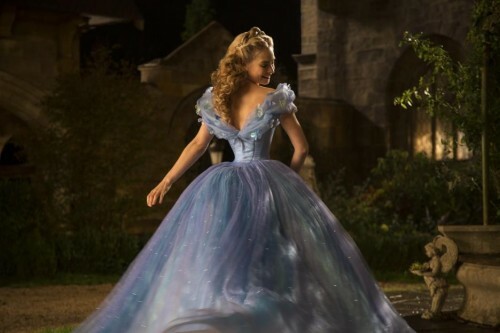 What is the message of Cinderella you wish to share how it is relevant to young girls today? This is a girl that’s not sitting around waiting for a prince to come and save her. She’s got this unbelievable strength, and it doesn’t come from fighting. It comes from within. 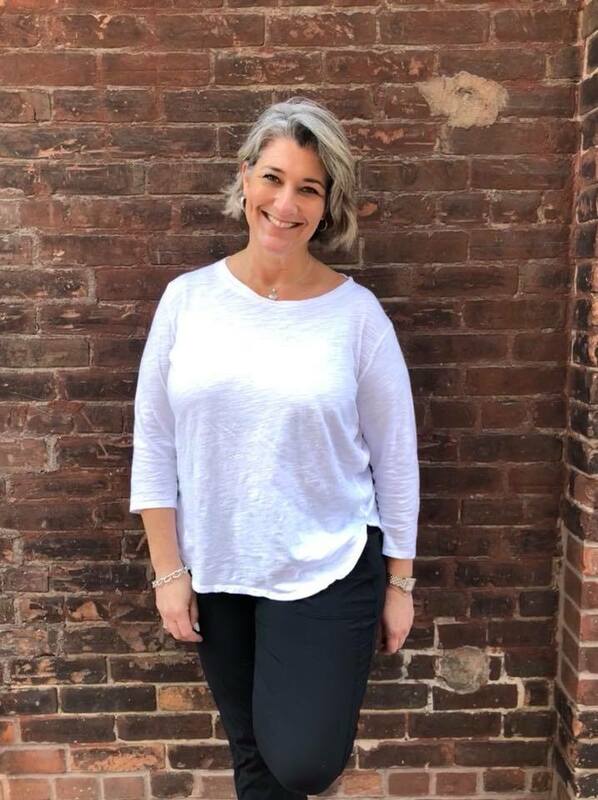 The strength is her courage and her kindness and if she has that, she can deal with what life throws at her. By being this person, she’s being the best version of herself. With such an open heart, when she does meet the prince not knowing who he is, he falls for her because she’s a strong, powerful, beautiful from within woman. That’s the idea. OK, let’s talk about THE Dress. That blue ball gown. What was that like when you put it on for the first time? Really, it’s this fairy tale, it’s this sort of thing that’s very far removed from me. And then I put on that gown and I just felt transformed, and it felt like a suit of honor. It was really hard to wear, and it was incredibly tight, and it had a life of it’s own basically. Ok, so I love that! I mean, Cinderella talking about using a port-a-loo. That is awesome! 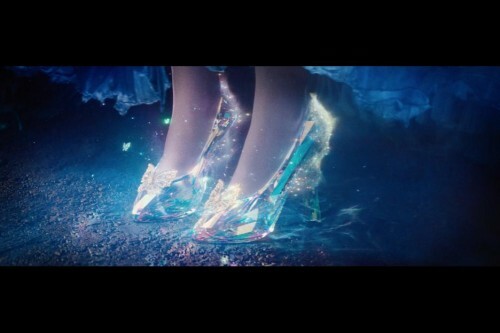 Now that we talked dress, let’s talk about those Glass Slippers. They were really made out of Swarovski crystals, so, even more amazing. Blue dress, glass slippers, now onto the ball. What was that like? And I had a complete nervous breakdown (Laughing). Richard had to ice skate so he didn’t step on it. He had to slide his feet. And you know, 5 minutes later, the skirt would catch up. (Laughing) But there was a few takes where we ran it real time so I would start outside the doors, I’d knock on the doors, I came in, I walked down the steps, the music started, I walked toward Richard, and we danced. You’ve done some Period work, was that helpful while preparing for the role of Cinderella? From doing the period work, there’s a way that you stand. There’s a sort of an etiquette and a grace that I really wanted her to have. From the animation, there a few things, and one of them was her physicality. I wanted it. In a real way, for Cinderella to be graceful, and I think that it helped from doing Downton [Abbey]. I also think, in a way, because we shot this a year and a half ago, before the final series, Ella influenced that series of Rose a bit. Rose became so nice. You didn’t have it on long, but that wedding dress, wow! I wanted (Sandy Powell) to do me a dress for the premiere last night. I was like, ‘Sandy.’ (Laughing) She’s amazing. I feel so sad that it was only in the film for like 30 seconds. I was like, ‘Ken, you’ve gotta shoot it from the back, you’ve gotta shoot it from the back.’ Because the flowers were hand painted, and you know the detail that goes into these dresses! That veil, and the crown, and actually we did the hair how Cinderella in the animation wears it at the ball, so that was a kind of like little echo. I was doing a photo shoot in it one day when we were so busy, and I rushed in and we did the photos. At Pinewood Studios, it’s England and it’s cold and it’s miserable and gray. And I rushed in, I was so cold and I was walking past this heater and my skirt caught on fire. And I didn’t care about myself I was like, ‘the skirt! 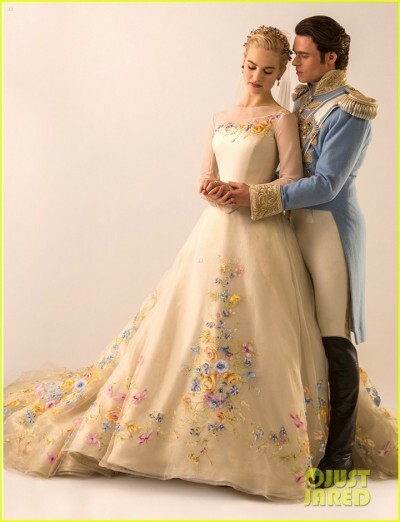 !’ It was all hand-painted flowers, and they had to re-do like a whole section of the skirt. So where were you when you heard you had the role? And then Ken was like, ‘You’re not allowed to tell anyone.’ So, I was like, ‘Oh, nothing, nothing.’ And then, later that day (co-star) Hugh Bonneville announced it to the Downtown dining room table. It was really sweet. So, do you have your doll yet? No, I don’t have any yet, but Helena texted me a picture of one last night. (Laughing) It’s so, so weird. Yeah, Helena was like, ‘You’re officially a Barbie doll.’ And then she put ‘Love, FGM, your Fairy Godmother’ and wished me luck. Love her. She’s just so adorable and you just can’t help but smile your way through this interview. *I was invited by Disney to the press junket for Cinderella that included the JCPenney Glam Ball. All opinions are my own. 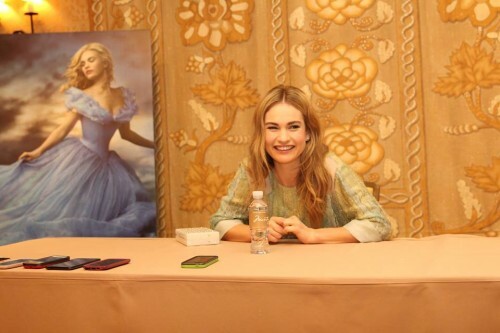 Hey Buddy!, I found this information for you: "Lily James: The Exclusive Cinderella Interview". 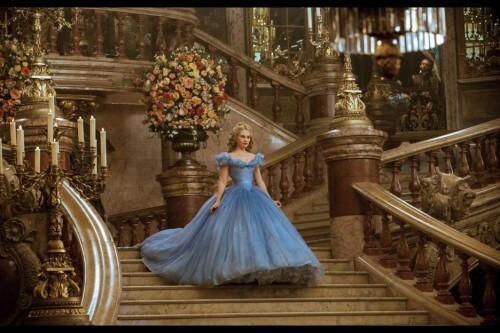 Here is the website link: https://www.trippinwithtara.com/lily-james-the-exclusive-cinderella-interview/. Thank you.